Liviya Mendelsohn is the Manager of Accessibility and Inclusion at the Miles Nadal Jewish Community Centre, and Inclusion Director at the UJA Federation of greater Toronto. At the MNJCC, Liv facilitates an ongoing initiative to assess and improve the accessibility of facilities, programs and services, guided by community advisory committees and a robust staff accessibility committee. At the UJA Federation, Liv coordinates the Inclusive Synagogues Working Group of 24 synagogues working towards removing barriers and promoting full participation in Jewish life for people with disabilities and their families, and the annual Jewish Disabilities Awareness and Inclusion Month. Liv is also Artistic Director of the ReelAbilities Toronto Film Festival and producer of the ReelAccess/CinemAccessible Guide. 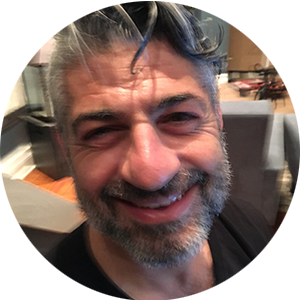 Lucian Timofte holds a BA in Christian Orthodox Theology (Bucharest, Romania, 2002), a BDes in Graphic Design (OCADU – Toronto, 2011) and an MDes in Inclusive Design (OCADU & IDRC – Toronto, 2013). Lucian perceives himself as a disguised Theologian inside of the Design world. This cross-cultural mélange is reflected by his undergraduate thesis called Sacred and Profane in Graphic Design or by his graduate MRP titled as A Dialogical-Self Narrative: Meanings of Inclusiveness between Disability, Design and Theology. In fact, his identity is consistently emerged into and troubled by universal, heavy, existential questions or design related questions: Who am I? What is the meaning of life and death? Why we experience suffering and how this can be alleviated? How has our world become so disjoint and broken, and how can we make it better? 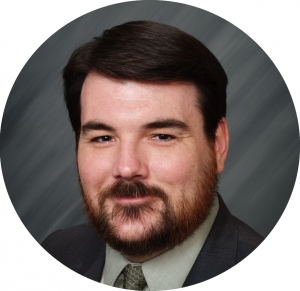 Michael Walker is a doctoral candidate in theology at the Toronto School of Theology, at the University of Toronto; he’s recently finished his dissertation on baptism, Holy Communion, community, and people with disabilities. Mike worships at the Jeremiah Community, an intentional community in Parkdale, Toronto. 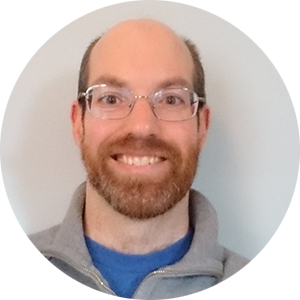 Aside from his communications role in Our Doors are Open at the IDRC, Mike is the co-author of the Student Christian Movement’s Disability, Faith, and Justice Devotional (2016). In his spare time, Mike is an avid reader, a poet, and a lover of good music. To reach Mike personally, or in matters of inclusion, write to michael.walker9@gmail.com. Balpreet Singh Boparai grew up in a rural community north of Toronto. He completed his undergraduate degree in political science at the University of Toronto and received his law degree from the University of Ottawa. After articling with a boutique disability and human rights law firm in Toronto, he became legal counsel for the World Sikh Organization of Canada in 2009. His practice focuses on human rights law and religious accommodation. Balpreet Singh has helped resolve several key accommodation issues for Sikhs in Canada, including the accommodation of the kirpan in courthouses in Ontario, Alberta and British Columbia, on VIA Rail trains, as well as in Canadian embassies and consulates internationally. He serves as spokesperson for the WSO and is regularly consulted on Sikh issues in Canada by national media outlets. 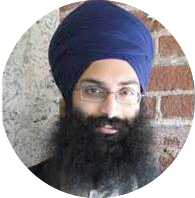 Balpreet Singh has worked with various public and private sector organizations to create resources and provide training on religious accommodation issues and best practices when interacting with persons of the Sikh faith. Balpreet Singh is regularly called to speak about the Sikh faith for both Sikh and non-Sikh audiences. He and his wife live in Newmarket, Ontario with their three children. Robert G. White (MBA, BASc., CMC, PEng.) is one of the founders and Secretary of the Toronto Area Interfaith Council, and the Chair of the Pikangikum First Nation Working Group, working to improve the quality of life of the people of Pikangikum First Nations through sustainable development. Bob is a Professional Engineer and Certified Management Consultant,with over thirty years’ experience training management consultants on ethical and socially responsible behaviour in Brazil, Canada, China, Colombia, Costa Rica, Guyana, India, Jamaica, Mexico, Nigeria, Trinidad & Tobago and the USA. 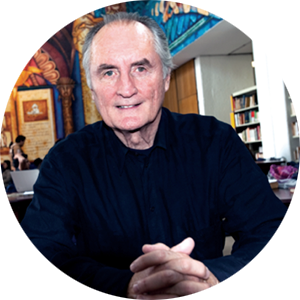 Bob teaches Business Ethics, Corporate Social Responsibility and Sustainable Development at the University of Ryerson, Toronto and Waterloo in Canada and 5 universities in Mexico. Zul Kassamali wears many hats. He has over 40 plus years of solid experience in establishing, managing and working with not-for-‎profit, interfaith and other community organizations, as well as sitting on many boards, commissions and councils. Among other roles, Zul is currently the co-chair of the R.C.M.P.’s Council of Partnership in Diversity and President of The National Alliance for the Advancement of Pluralistic Societies. ‎(1NAAS). In a volunteer capacity, he has served as the Governor of Seneca College, as well as the National Council of Welfare for Ca‎nada, the Ontario Health Quality Council, and the Premier’s Round Table on Elder Abuse. Zul has been awarded the Premier of Ontario’s Community Service Award, Toronto Police Services Excellence Achievement Award, and the Toronto Police Honorary Detective Badge. Significantly, Zul is an individual who has worked tirelessly to overcome prejudices and to right social injustices through positive action. 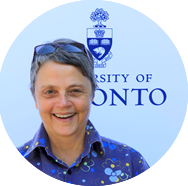 Tanya Lewis is the Director of Accessibility Services at University of Toronto. As the Director of the ASC, Tanya spends most of her time helping staff to develop programming that will resonate with students’ needs. She wants to ensure that the ASC delivers the best possible support system for students. This requires understanding what students are experiencing academically and what they need to be successful. This is where her work as the Director of Accessibility Services helps her in her role at the ASC. 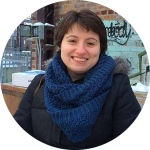 Through her experience as the Director of Accessibility Services Tanya has found that students with disabilities can accurately identify difficulties in academic work for all students. Ven. Bhante Saranapala, known as the “Urban Buddhist Monk,” shares the Buddha’s message of universal love, understanding, and compassion by teaching mindfulness meditation. 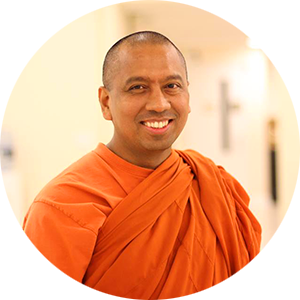 Born in Chittagong, Bangladesh, Bhante received both his monastic and secular education in Sri Lanka; he then made his way to Canada to further his studies and to teach Mindfulness and Insight Meditation. 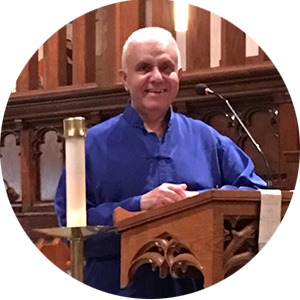 Settling down in the City of Mississauga-Toronto West, he has been a monk in residence at the monastic fraternity of the West End Buddhist Temple and (Monastery) Meditation Centre for the past 21 years. Bhante Saranapala runs two programs: (1) Mindfulness-Based Suffering Reduction & (2) Making Canada a More Mindful and Kind Nation. Christian McConnell is Director at the Institute for Ongoing Formation at St Peter’s Seminar in London Ontario. 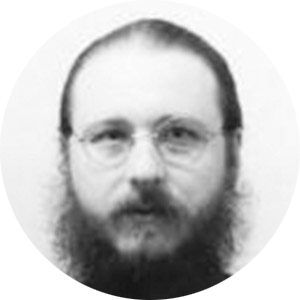 Ph.D. in Liturgical Studies at the University of Notre Dame, Indiana and has taught for the past 10 years in the Department of Theology and Graduate School of Theology at St. John’s University, Collegeville Minnesota, it was assiatant professor with the the Faculty of Theology at the University of St Michael’s College. Father Michael McGourty is a Roman Catholic priest who presently serves as the pastor of St. Peter’s Church in Toronto. He has a doctorate in liturgy from the Pontifical Institute for Sacred Liturgy in Rome and has taught liturgy and sacraments at St. Augustine’s Seminary in Toronto and St. Peter’s Seminary in London, Ontario. Rev. John Joseph Mastandrea became minister of spiritual growth and pastoral care development at Metropolitan United in 2000. He possesses Bachelor of Science in Chemistry, Master of Divinity, Master of Religious Education, Master of Arts and Ministry of Spirituality degrees, all from the University of Toronto; he also completed a doctorate from Chicago Theological Seminary in May 2010. Ordained in 1989, he is a certified Labyrinth Facilitator, Stephen Leader, and Spiritual Director following in the footsteps of Ignatius Loyola and Teresa of Avila. John Joseph has received numerous awards, including the Queen’s Diamond Jubilee medal in October 2012. 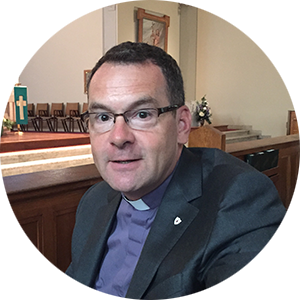 His volunteer roles have included a term as President of the Greater Toronto Area Christian Churches’ Council, membership in the executive of the Toronto Area Interfaith Council, being Police Chaplain to 51 Division, membership in the Toronto Rotary, and member of the Pastoral Care Committee of York Central Hospital in Richmond Hill. He represented Canada as a delegate to the World Council of Churches in Geneva, Switzerland, in February 1990. Raised in Etobicoke, he works in Cabbagetown. Fatema Dada is a Director at SMILE Canada, an organization dedicated to supporting children with disabilities in the Muslim community. She is a practicing lawyer in civil litigation for the last eight years, and also sits on the board of two Muslim legal organizations serving Canadians in Ontario. Sukaina Dada is the founder and president of SMILE Canada, an organization dedicated to supporting children living with disabilities and their families. 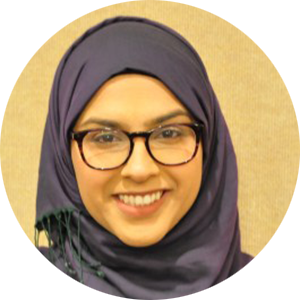 Sukaina is a pediatric Occupational Therapist and is pursuing a Ph.D. in Critical Disability Studies at York University. Sukaina is a co-author of a children’s book, A Bedtime Prayer for Peace. Sharon Aylsworth is a ten-year wheelchair user who is active in the United Church of Canada, advocating for persons with disabilities largely through storytelling and presence. With a history in computer systems development management, she currently participates in several ‘courts’ of the United Church, serving as a General Council Commissioner, a member of the executive of Toronto Conference, a member of the executive of Toronto Southeast Presbytery, and chair of council of Kingston Road United Church. She is a member of a disability network within the United Church and attended the World Council of Churches in South Korea in 2013 as part of EDAN, Ecumenical Disability Advocacy Network. 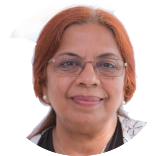 Sambhavi Chandrashekar is an Adjunct Professor with OCAD University, supervising research and teaching courses in their Master of Design program in Inclusive Design. She also works full-time as Accessibility Program Manager with D2L Corporation, an educational technology company. An award-winning educator herself, she is passionate about using technology to make education possible for every learner, regardless of their abilities. 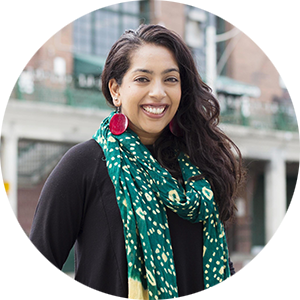 Sambhavi holds a PhD from the iSchool in the University of Toronto, an M.Sc. in Human-Computer Interaction from University College London, UK, and an M.Sc. in Theoretical Chemistry from the Indian Institute of Technology, Madras, India. 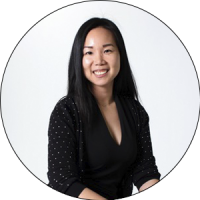 She has worked on a number of projects with the Inclusive Design Research Centre, Toronto, on making technology more useful to, and usable by, people with disabilities. Teresa Leeis an inclusive designer and researcher. She is fascinated by interactions between human behaviours and environment, and different ways in which people perceive and process information. Having worked with hundreds of neurodiverse individuals of all ages as a therapist, educator, consultant and public speaker over the last decade, Teresa has a unique perspective on neurodiversity and issues of inclusion across various spaces. She spends most of her time wondering how to apply inclusive design thinking to create a community that embraces neurodiversity.